We draw on a pool of experienced Project and Change Management Professionals with in-depth knowledge and experience in Strategic Change, Transformation, Regulatory & Risk Management, Portfolio, Programme and Project Management. We have also carried out various Software Asset Management (SAM) projects globally. Emerge Consultants are members of the Institution of Internal Auditors (IIA), British Computer Society (BCS), Project Management Institute (PMI) and the International Compliance Association (ICA). Emerge Consultants core focus is to provide world class service delivery to our clients. Our mission is always to be 100% customer focused and develop deep rooted partnerships with our clients. We bring expertise and knowledge from industry leaders who are specialists in their field. Tashfin has over 20 years experience in the Investment Banking and Consulting Arena in the UK, US, Middle East and Europe. He is an expert in Governance, Risk, Compliance, Portfolio and Programme Management having managed high-value Investment Banking change and transformation projects on both sides of the Atlantic and the Middle East. Tashfin is a regular contributor to ACAMS and Euromoney webinars/seminars and advises CEO’s of emerging market banks and brokerage firms on Governance, Risk and Compliance best practices. He also works with organisations such as the OECD on key working groups such as the enforcement of the Anti-Bribery & Corruption convention. Languages: Tashfin is proficient in Bengali, Hindi and Urdu. Mizan graduated with a BEng hon from Liverpool university and an MBA from Imperial College (London). His love and enthusiasm for technology, coupled and keen interest in the Financial Sector (specifically Securities) has paved the way for a 20 year career in various roles for a number of tier 1 investment banks. Some of his core skills include knowledge in Digital Transformation, eCommunications, Marketing & Pitches, Web Portal Management, Technology Product Management, Business Intelligence and Client Services. Skills that have been gained and used by working in Equity Research, Equities, Fixed Income, Technology & Risk divisions. 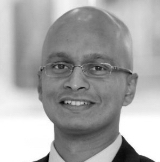 Most recently his roles include being Global Head of Core Product, Marketing & Business Intelligence for Morgan Stanley’s Fixed Income “Matrix” platform, and previous to that he was EMEA Head of E-Product Development and Marketing for the Goldman Sachs’ Institutional client platform “Goldman 360”. 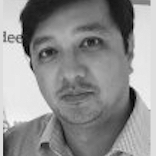 Most recently as Chief Operating Officer and Executive Committee Member of frontier emerging market merchant bank Exotix Partners, Adib ran the Compliance, Legal, Finance, Operations, IT and HR departments. At Goldman Sachs, as a trader, Adib built and managed the European Credit Repo Trading business where he co-managed a multi-billion dollar balance sheet trading book. At Credit Suisse, Adib was the lead risk manager of the Delta One Derivatives trading business and focused on improving governance, supervisory controls and risk metrics, operations and technology. Education: Harvard University (Bachelor’s degree, AB, in economics), Stanford University (MBA, Finance and International Management). Languages: Adib is proficient in Bengali, and familiar with Hindi and Urdu. Having accumulated over 25 years of experience helping executives leverage technology to generate business value, Rob presents clients with considerable value. In over 20 countries, from Unilever, DHL and HP, to Lloyds and the Saudi Arabian Central Bank, his insights are broad and rich. He advises transformation executives on the threats and opportunities they need to consider to thrive in the digital economy. This is coupled by ensuring strategic digital business transformation portfolios are well designed and executed to generate new business value and competitive advantage. 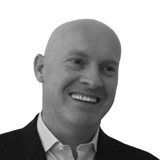 Rob is an author, speaker, and recognised by SAP and others as a trusted C-suite advisor. Our Senior Management have a minimum of twelve years experience in a variety of sectors and bring expertise to our clients. 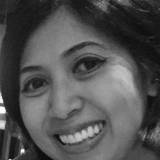 An award winning data science and artificial intelligence specialist with state of the art understanding of human behaviour analytics.In-depth understanding of the emerging commercial sector in Myanmar as well as life-long experience of Myanmar’s culture, society and current affairs.15+ years applied data science research experience in both Russell Group (U.K.) and Ivy League (U.S.) institutions. Fluent in Burmese and English with additional experience in technical translations and communications as well as numerous public appearances and media contributions in both languages. Authored over 50 peer reviewed academic publications in data science with over 800 citations. Head hunted as the first senior data scientist in New York City and Cambridge, Mass. based start up company HealthRhythms Inc.
Prasanna is a BI Subject Matter Expert with more than 15 years experience in delivering Business Intelligence and Data Warehousing solutions across multiple business domains including fixed income, core finance, manufacturing and HR. 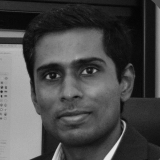 He has delivered high profile solutions in data discovery for several high profile tier 1 banks and has supported building POCs for market surveillance analytics. 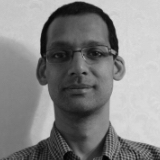 Prasanna has a masters in applied science in computing, is a Prince2 practitioner and in his spare time practices Yoga. 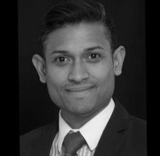 Omar is an experienced Transformation Consultant working at the CTO/CEO/DG level to create & deliver strategic programmes that influence organisational direction & deliver lasting and incremental organisational benefits. Wide experience in Financial Services and Investment Banking sectors, skilled in the use of enablers such as Kanban, Lean & Agile to deliver change. Omar has managed mitigation of risk and security breaches through comprehensive security auditing/analysis and establishment of targeted InfoSec policies, procedures and standards. 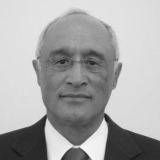 He is capable of delivering in commercially focused environments, public service or hybrid organisations. Laurence is a Chartered IT Professional with over 35 year’s experience in the development and delivery of Business Systems and associated Infrastructure across multiple, diverse sectors. Based on his formal training and experience he understands the need for creating awareness of IT potential in the business and communicating what is achievable and realistic with IT, whilst educating IT Professionals to better understand the needs of the business environment in which they work. Samantha Sheen is a regulatory advisor to Emerge Consultants and additionally is the the founder and Director of Ex Ante Advisory Services Limited, a consultancy services firm providing advice and assistance to regulators and financial institutions in a variety of areas related to the prevention of financial crime. Sam is a financial crime prevention professional with over 15 years of practical experience in compliance. Sam holds a number of qualifications and is recognised as a subject matter expert in the field of financial crime. Sam’s previous work experience includes working as MLRO, Data Protection Officer and CCO and Group Head of AML for various financial institutions, both offshore and in Europe. Sam also worked offshore for several years as the first legal counsel to the financial regulator in Guernsey and subsequently set up the financial crime division, overseeing the examination of a variety of financial institutions. She continues to maintain ongoing engagement with other regulators on financial crime matters. Sam has extensive training experience in the field of financial crime prevention and corporate governance matters. She has most recently been involved in projects involving FinTech businesses, the use of RegTech to mitigate financial crime and list management relating to the screening of customers and third parties. 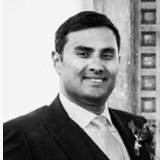 Sam most recently worked with ACAMS Europe as its AML Director and is a member of the Chapter in the UK. 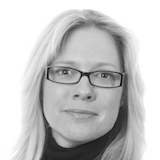 Sam is recognised by ACAMS as a subject matter expert and has co-authored a number of online certificate courses, facilitated working groups on 4/5AMLD in Europe and assistance in the development of white papers. Sam often writes about various financial crime topics and participates as moderator, presenter and panellist in a number of jurisdictions. Originally from Montreal, Quebec Canada, Sam holds a Bachelors of Public Administration, Law Degree, qualified as a barrister and solicitor and holds her Masters in Business, specialising in risk management. 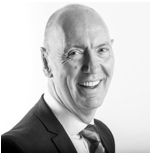 Graham has worked in senior roles across Global Banking, Markets, Corporate, Private, Retail and Wealth Management. The fundamental ability he brought to all these roles was a deep understanding of the underpinning regulations, legislation, guidance and best practice case studies to ensure that all proposed controls, policies and procedures were based on first principles rather than received wisdom. Graham has worked in locations across the world including London, Hong Kong, Singapore, Delhi, Mumbai, Bangalore, Zurich, Berne, Geneva, Gibraltar, Monaco, Guernsey, Jersey, Isle of Man, Cayman Islands, Mexico and Istanbul. He has been closely involved in two Systematic AML Programmes (SAMLPs) and has made major contributions to developing effective policy within Wealth, Private Banking, Correspondent Banking and Trade Finance. Riena has more than 15 years of experience working in Global Financial Services with a proven track record in project management, performance management, business analysis, cost management, and operations process, planning and control. Riena is proactive and has led on various projects which have consistently resulted in increased efficiencies, corporate sustainability and success. She is a highly motivated, creative, flexible, professional and resourceful individual.